AtlantexCreativeWorks was incorporated in 1979 and has since established itself as Atlantic Canada’s foremost exhibit house, especially in the fields of interpretive exhibits, trade show displays, environmental graphic design and donor recognition installations. The company provides a full range of in-house design, drafting, graphic production and fabrication services and has a solid reputation for producing quality installations, on-time and on-budget. Atlantex has also developed a network of Canadian experts and artisans, allowing it to successfully tackle the most challenging projects at the local, provincial, national and international levels. The Atlantex corporate philosophy holds that all aspects of design and production should be coordinated into a coherent end product by promoting open communication, developing creative solutions and executing quality-based fabrication. Only an approach such as this will ensure that the final result is exciting, informative and effective. Philip Prozenko studied at Carleton University's School of Industrial Design, graduating in 1990 with a Bachelor of Industrial Design degree with distinction. While Philip was studying at Carleton University, he also worked at the Canadian Museum of Civilization as a model maker and exhibit builder. Following graduation, Philip continued working with the Canadian Museum of Civilization in the role of exhibit designer. In 1992, Philip accepted a position as Senior Designer with AtlantexCreativeWorks. As senior designer Philip was responsible for exhibit design, industrial design, graphic design as well as project management. In 1995, Philip became a shareholder of AtlantexCreativeworks and in 1999, he took over the reins as president. Philip is currently involved in all aspects of Atlantex’s creative design, product development and manufacturing activities. Philip has been the project designer for many of Atlantex's major projects including the Glooscap Heritage Centre, in Millbrook, NS and the award winning Johnson GEO Centre in St. John’s, Newfoundland. For both projects, his responsibilities included the conceptual design and rendering, floor plan development, detailed structural design and graphic design of all exhibit elements. Philip has also collaborated with other designers, bringing his 3D design skills and manufacturing knowledge to the table. Recent projects include The Chocolate Museum expansion in St. Stephen, New Brunswick and the ‘Living Building’ exhibit for the Nova Scotia Community College Centre for the Built Environment in Dartmouth, Nova Scotia. Kevin joined the Atlantex team in 2001 in the position of draftsman / estimator. In November of 2002, Kevin became a partner at AtlantexCreativeWorks and assumed the position of V.P. Operations. So he has a vested interest in providing top rate products for Atlantex's clients. Since then Kevin has been involved in project management, production of working drawings, estimating, ordering of materials and fabrication for a variety of interpretive projects including The Johnson GEO Centre, Metepenagiag Interpretation Centre in Red Bank New Brunswick, Grand Pre National Historic site and Pier 21 just to name a few as well as a myriad of challenging smaller custom projects along the way. He is well acquainted with Atlantex's computer controlled router cutter as well as the laser cutter / engraver. Joined the Atlantex team in 2002 as one of our skilled team of craftsmen. Fraser’s past experience was a perfect match for the variety of projects undertaken at Atlantex. Fraser was involved in cabinet making, welding and carving, while working in a variety of materials including fiberglass, metal, wood and plastic. 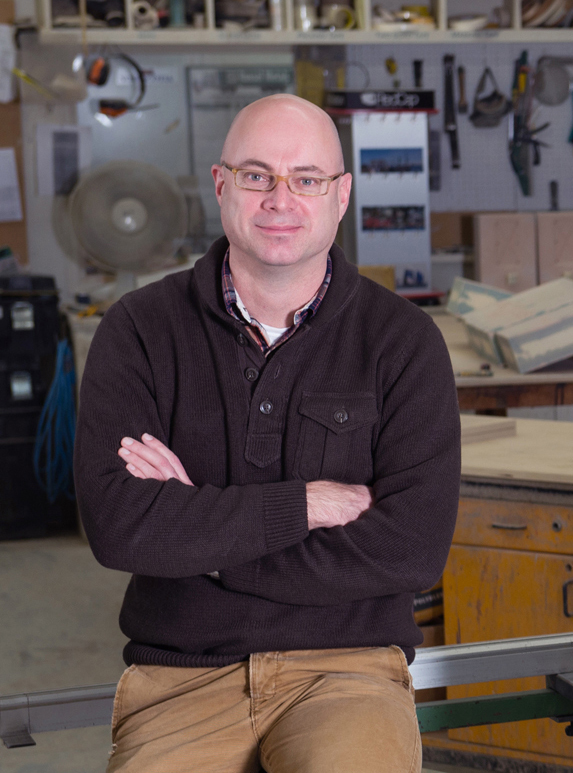 Since In 2004, Fraser assumed the role of Production Manager overseeing the production of all of the projects that come through his department. Later that year Fraser became the third partner of AtlantexCreativeWorks. Fraser continues to manage the production services at Atlantex including the technical operation of CNC routing and laser cutting and engraving.